Another classic from Rare, Battletoads (1991), that Teenage Mutant Ninja Turtles-inspired game about three ‘toads, their girlfriend (Princess Anglica), their trainer (Professor T. Bird, a vulture), and the evil nemesis, The Dark Queen and her evil rat army (boo, hiss!). Yup, this was back in the day when you could get away with making just about any kind of character, so long as the game was good. 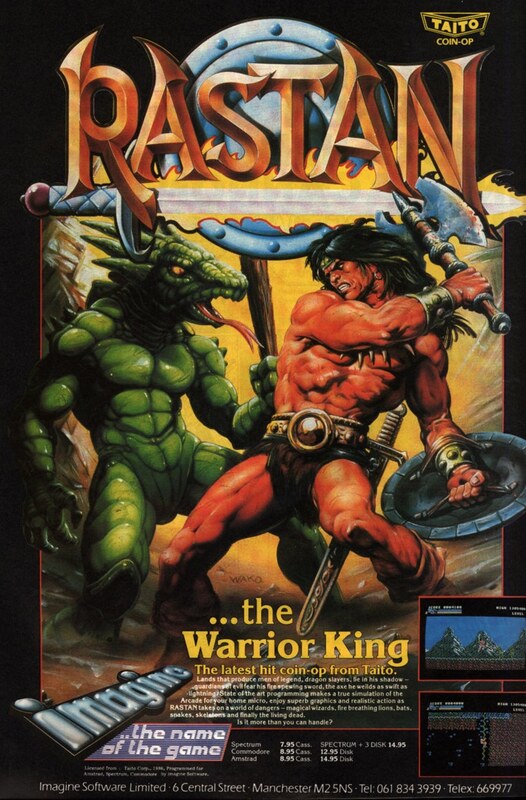 This late-gen NES title is probably best remembered for its brutal difficulty – made even harder by the fact that players can (accidentally or otherwise) hit each other. 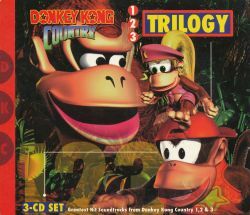 The game also has a few memorable tracks, particularly the “Title Theme”. There’s a nice website devoted to the series that is still updated. The “Main Theme” is fairly amphibious, with nice long, mellow notes that hop easily across the scale. It opens with a long, descending note echoing the opening sequence where the ‘Toads’ spaceship lands on Ragnarok. The track then has a middle section with a thick bass line and jazzy melody, followed by an even deeper bass echo. This clip of the intro has an odd – but incredibly awesome – effect with the drums. The third section has some nice surfer thrashing, a perfect grungy feel for the crude attitude of the characters. 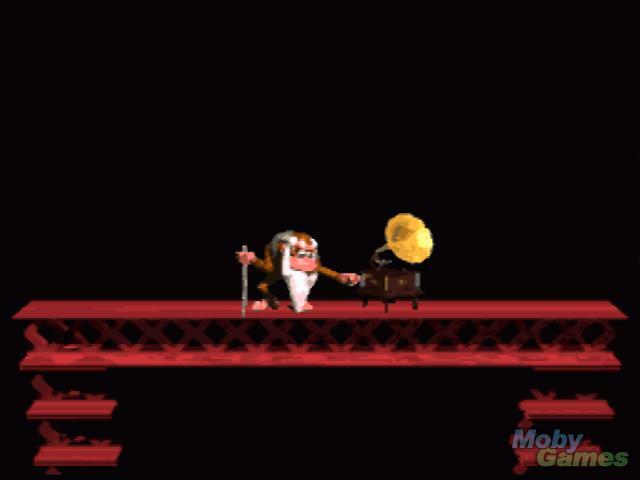 It’s a fairly short loop (about 30 seconds), but nice and catchy, which is what you need for a game soundtrack. The three long, full notes composing the main melody and three sections of the song fit nicely with the theme of the three Battletoads. Sing it with me now: BAT-TLE-TOADS! (DUH-NUH-NUH-NUH-NUH-NUH-NUH!). 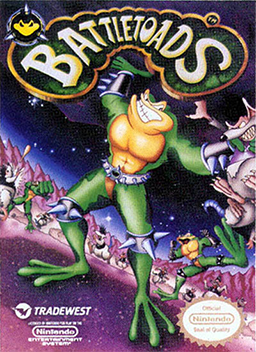 The Battletoads “Main Theme” has an excellent arrange in Battletoads in Battlemania (1994), with a nice trumpet intro followed by grunge guitar and synth piano. Awesome. UK grunge rock. 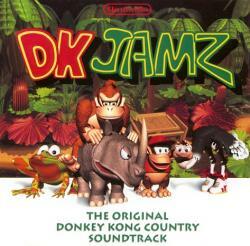 Surprisingly though, there seems to be few remixes of the main theme. World of Battletoads has a remix album, but that doesn’t really do the original tracks justice. Zellig’s “Metallitoad” is ok, but the midi and synth guitars beg for an actual fully developed guitar mix, say by Dwelling of Duels. C’mon, guys! 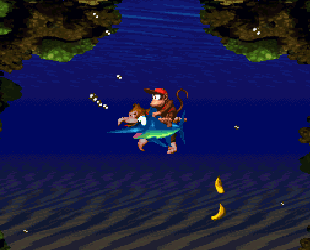 There’s more to Rare and David Wise than Donkey Kong Country! I can’t say I’m a fan of most of the other Battletoads music though, but hey, the Stage 2 theme where you descend in helicopter backpacks into a pit is pretty cool. 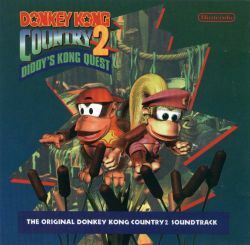 In fact, it sounds a lot like Donkey Kong Country 3.